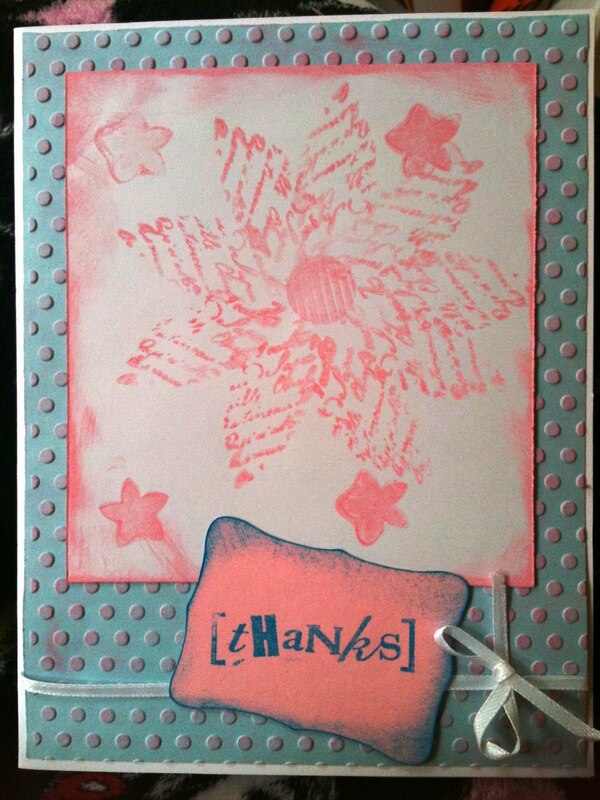 Made this blue & pink thank you card using some stamps by Hero Arts & Close to My Heart (not sure which lines I can't remember). 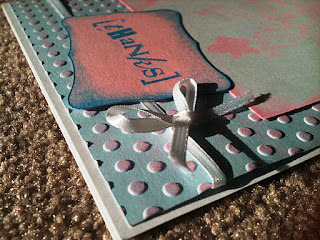 Used my swiss dots embossing folder and embossed the blue background sheet.. then inked over it with light pink chalk ink. Inked the edges of the white cardstock with the same pink ink and also stamped the flowers with the same ink. 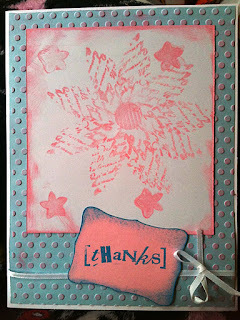 Used blue ink for the thanks stamp and inked the edges in the same color.. the pink thanks tag was cut with Accent Essentials. And to finish it off a white ribbon and bow along the bottom. Hope you like. DL. ART - Thankful Thrusday Part 2 (thank you card fav color) my fav color is blue. This is beautiful. I love the colors you used they really pop and the distressing on the dots is really neat. Thank you for linking up to my Thankful Thursday challenge. Some of my Christmas presents..